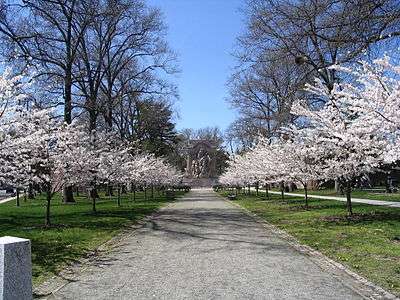 The Institute for Advanced Study (IAS) in Princeton, New Jersey, in the United States, is an independent, postdoctoral research center for theoretical research and intellectual inquiry founded in 1930 by American educator Abraham Flexner, together with philanthropists Louis Bamberger and Caroline Bamberger Fuld. The IAS is perhaps best known as the academic home of Albert Einstein, John von Neumann and Kurt Gödel, after their immigration to the United States. 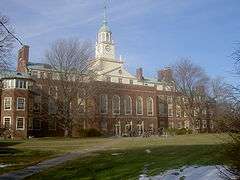 Although it is close to and collaborates with Princeton University, Rutgers University, and other nearby institutions, it is not part of any university or federal agency and does not charge tuition or fees. Flexner's guiding principle in founding the Institute was the pursuit of knowledge for its own sake. There are no degree programs or experimental facilities at the Institute. Research is never contracted or directed; it is left to each individual researcher to pursue their own goals. 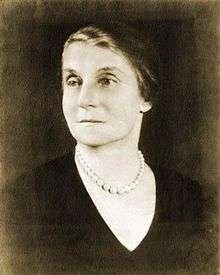 Established during the rise of European fascism, the IAS played a key role in the transfer of intellectual capital from Europe to America and soon acquired a reputation at the pinnacle of academic and scientific life–a reputation it has retained. The institute consists of four schools–Historical Studies, Mathematics, Natural Sciences, and Social Sciences; there is also a program in theoretical biology. In 2016 the Institute has been in the news for a faculty housing project proposal. While the Institute owns the property on which it wants to build these houses, the land is adjacent to Princeton Battlefield State Park. Historians and archaeological evidence confirm the site witnessed Gen. George Washington's arrival and charge on horseback across the battlefield during the January 3, 1777 Battle of Princeton. Many national and local preservation organizations have voiced concern over the development project, and the Washington, D.C.-based Civil War Trust has offered to purchase the property for well-above the appraised value. The Institute was founded in 1930 by Abraham Flexner, together with philanthropists Louis Bamberger and Caroline Bamberger Fuld. Flexner is generally regarded as one of the most important figures in the history of American medicine and played a major role in the reform of medical education. This led to an interest in education generally and as early as 1890 he had founded an experimental school which had no formal curriculum, exams, or grades. It was a great success at preparing students for prestigious colleges and this same philosophy would later guide him in the founding of the Institute for Advanced Study. Flexner had studied European schools such as Heidelberg University, All Souls College, Oxford, and the Collège de France–and he wanted to establish a similar advanced research center in the United States. Flexner and Veblen set out to recruit the best mathematicians and physicists they could find. 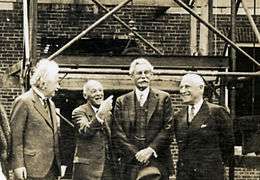 The rise of fascism and the associated anti-semitism forced many prominent mathematicians to flee Europe and some, such as Einstein and Hermann Weyl (whose wife was Jewish), found a home at the new institute. Weyl as a condition of accepting insisted that the Institute also appoint the thirty year old Austrian-Hungarian polymath John von Neumann. Indeed, the IAS became the key lifeline for scholars fleeing Europe. Einstein was Flexner's first coup and shortly after that he was followed by Veblen's brilliant student James Alexander and the wunderkind of logic Kurt Gödel. 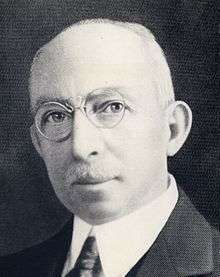 Flexner was fortunate in the luminaries he directly recruited but also in the people that they brought along with them. Thus, by 1934 the fledgeling institute was led by six of the most prominent mathematicians in the world. In 1935 quantum physics pioneer Wolfgang Pauli became a faculty member. With the opening of the Institute for Advanced Study, Princeton replaced Göttingen as the leading center for mathematics in the twentieth century. In a 1939 essay Flexner emphasized how James Clerk Maxwell, driven only by a desire to know, did abstruse calculations in the field of magnetism and electricity and that these investigations led in a direct line to the entire electrical development of modern times. Citing Maxwell and other theoretical scientists such Gauss, Faraday, Ehrlich and Einstein, Flexner said, "Throughout the whole history of science most of the really great discoveries which have ultimately proved to be beneficial to mankind have been made by men and women who were driven not by the desire to be useful but merely the desire to satisfy their curiosity." From the day it opened the IAS had a major impact on mathematics, physics, economic theory, and world affairs. In mathematics forty-one out of fifty-seven Fields Medalists have been affiliated with the Institute. Thirty-three Nobel Laureates have been working at the IAS. 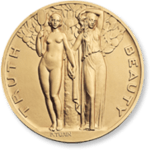 Of the sixteen Abel Prizes awarded since the establishment of that award in 2003, five were garnered by Institute scholars. Of the fifty-six Cole Prizes awarded since the establishment of that award in 1928, thirty-nine have gone to scholars associated with the IAS at some point in their career. IAS people have won 20 Wolf Prizes in mathematics and physics. Its more than 6,000 former members hold positions of intellectual and scientific leadership throughout the academic world. In recent years there have been other institutes loosely based on the Princeton original, in some cases established with help from IAS professors. In 1997 IAS professor Chen-Ning Yang helped the Chinese set up the Institute for Advanced Study at Tsinghua University in Beijing. The Freiburg Institute for Advanced Studies in Freiburg, Germany was founded in 2007, with IAS director at the time Peter Goddard giving the inaugural address. Princeton IAS professors Andre Weil and Armand Borel helped to establish close contacts with the Ramanujan Institute for Advanced Study in Mathematics, founded in 1967 as part of the University of Madras in India. At any given time, the IAS has a Faculty consisting of twenty-eight eminent academics who are appointed for life. Although the faculty do not teach classes (because there are no classes) they often do give lectures at their own initiative and have the title Professor along with the prestige associated with that title. Furthermore they direct research and serve as the nucleus of a larger and generally younger group of scholars–the members whom they have the power to select and invite. Each year fellowships are awarded to about 190 visiting members from over 100 universities and research institutions who come to the Institute for periods from one term to a few years. Individuals must apply to become Members at the Institute, and each of the Schools has its own application procedures and deadlines. 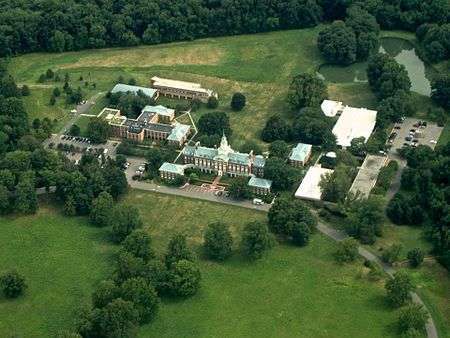 ↑ "Preserve - don't destroy - piece of Princeton Battlefield". Times of Trenton. ↑ Lender, Mark. "Commentary: The new Battle of Princeton". The Philadelphia Inquirer. ↑ Will, George. "A battle to save the Princeton Battlefield". The Washington Post. ↑ "The HoTT book". Retrieved 19 July 2015.